For the last one, I tried to make another new ideas and development with these ideas, but I can not satisfy to the result. Because the technology level can not meet the realization of ideas or the effect of result fall short of my expectation. So, I make decision to develop with one of previous prototypes. Actually, the first one that lighting shape shifting prototype is most popular in vimeo movie and my favorite one. The change of methodology about controlling lightness is very interesting and has much possibilities in visual fields. In these reason, I started to develop the first one. The shape-shifting concept means the ability of a being to physically transform into another form or entity. 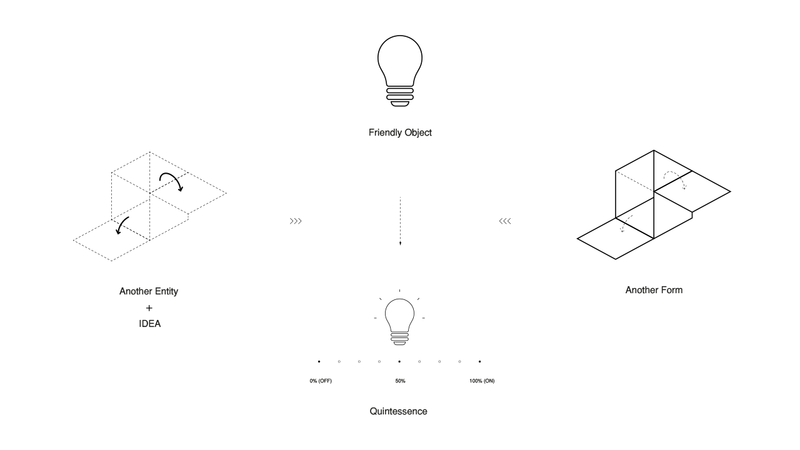 The concept usually use friendly object around us for material. In this prototype, it is lighting. 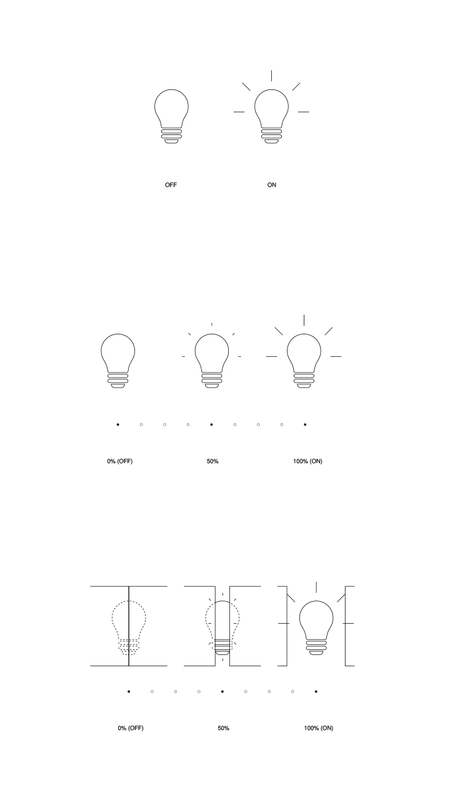 The lighting mainly has function that controls lightness like turning on and off. So, I will try to experiment the methodology for affecting to this main function(Quintessence) through motion and transform. And some ideas can make new perspective in result. The original lightness controlling in normal lighting is turning on and off with switch like a digital signal (1/0). The upgraded signal is fuzzy system in controlling lightness. So, What is the new one? How about controlling with physical motion like a real creature or living things? Is it a new perspective? By this process, the main concept has these directions.